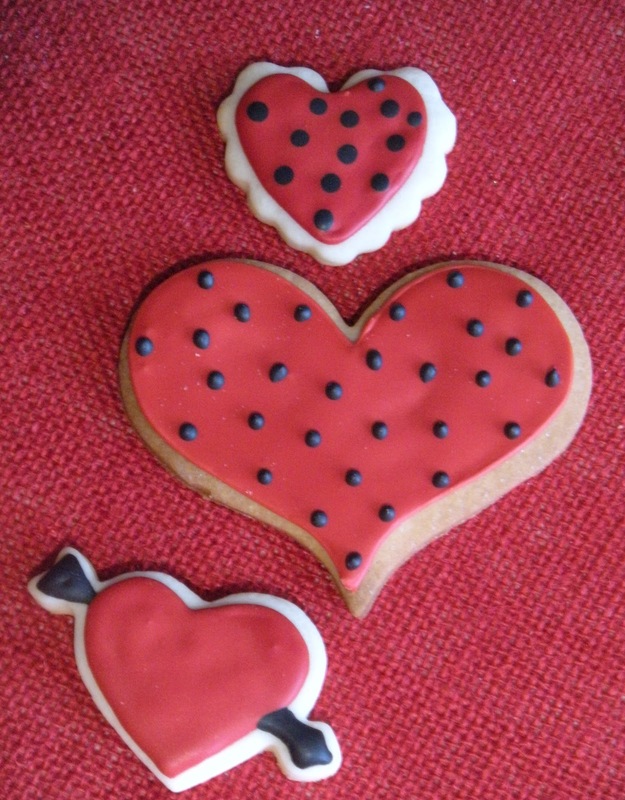 Delicious Cookies Full of Stuff! Sometimes you just get a craving. I was hankering for oatmeal cookies. I wanted a cookie with a little substance to it. 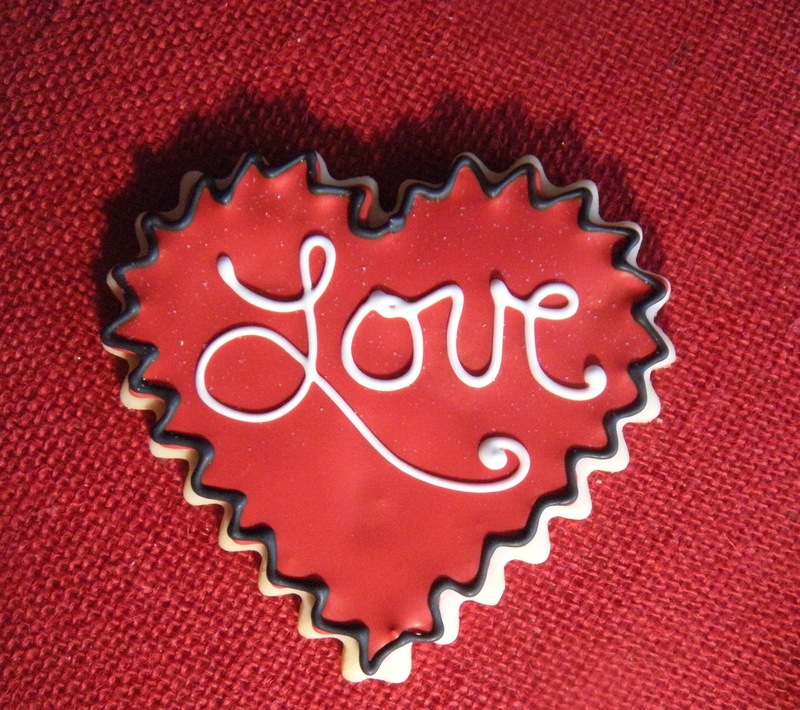 I have made a couple of oatmeal cookie variations on my blog before. The first one with chocolate chunks and coconut were delicious, as were the next edition without coconut but with Crisco. So I found a happy compromise with this recipe, and honestly, I just cleaned out the pantry and the freezer, or at least made a dent in it. The recipe is a basic oatmeal cookie recipe in which 99% of the population would add raisins. I do not like raisins in my baked goods. So before Lent, I would have just substituted the raisins for chocolate chunks. But, I gave the stuff up. Which is good, because I was eating and ounce or two every night of Cocoa Noir. Antioxidants you know. So this time I added dried cherries, the last of the crystallized ginger (see the cookies I made with it here), a little coconut, the last of a bag of pecan pieces and the last of a bag of macadamia nuts. I also did half and half on the oatmeal, half was old fashioned and the other half was steel cut. I had a tiny bit if dark brown sugar hardening in the pantry so I used that and the remainder was light brown sugar. The flour was whole wheat, and in staying with that cleaning out mode, I used the butter Christmas tree I had to have this holiday. (Yes, it was a Christmas Tree made out of butter, don't judge, I am from Iowa after all.) But we don't really butter anything and there it sat with a March expiration date. So, in it went! I made a little room and ended up with some delicious cookies that must be relatively healthy. They were deliciously soft out of the oven and there are so many flavors to hit! So, what are you waiting for? Get in there and bake! The power of the written word. I started this blog post about 2 years ago, after a bad day. I got it off my chest and it has sat as a draft for all this time. I decided to dust it off. First a little background. I am a proficient letter writer. I have boxes of cards and letters dating back to my First Communion, I find them to be blessings. I give my kids thank you cards every holiday as a reminder of what happens after the gift giving. My parents are quite generous at Christmas, birthdays, sometimes out of the blue. The rule has always been, a thank you note. No thank you note, no more gifts. It's simple really. They would just like to know you got it and you are grateful. How much is this to ask? There was a great story about a man who just wasn't happy and his business was struggling. When his son payed back a loan he didn't think he would ever see, he wrote him a thank you note. The response made him realize how powerful those 2 little words are, and his resolution was to write one every day. Even the barista at Starbucks, who knew his name and order, got one. He really was grateful that someone cared about something as simple as his morning latte. It is similar to the Oprah's Grateful journals that she challenged her audience to years ago. But this is better, he doesn't just think of all his blessings, he thanks those responsible for some of the littlest ones. Living in Atlanta, I learned how powerful a positive remark can be. I was rushing out of the house one day and accidentally locked my toddler, in the minivan, in his car seat, engine running, in the garage. Of course he couldn't reach the lock and the extra key was traveling with my husband. Nic was in no danger, but what the heck do ya do? I called the dealership which was about 6 miles away and explained my situation. I obviously couldn't hitch a ride and go pick up a key. Within 15 minutes an employee was in my driveway with a key. He wouldn't accept any money. I was so thankful, I sat down and wrote a letter to the dealership about their amazing service and wonderful employee, who I am sure had plenty of work to be done that day. To my surprise, they wrote me back. They told me how refreshing it was to get a letter of compliment and they were thrilled I was happy. The letter would go into the employee file of the guy who brought me the key. Wow. I had no idea. I felt very powerful. But I knew at that moment that a letter of complaint could easily have the same ramifications. I have written them. But, I also recognize that people have burdens. I may be at the return line at Macy's the day that employee found out her mom has cancer. Who am I to think that someone should put their life on hold to make my return quick and seamless. How many times do you get a receipt with a phone number and a code so you can "let them know how they're doing"? Do you feel like anyone really reads that stuff? Are you really in the running for a $5000 gift card? I think those are simply ways to track their customers. But write a real letter and trust me, wheels will be in motion. I know. When I was in high school, we were required to write a letter to a company about a problem with a product. I really had trouble with this. As a teenage consumer I didn't have a lot of experience. I decided to write Brach's candy company about some stale chocolate I had bought on my break at work. I was desperate. I did indeed get a reply, some coupons, and a request for information where this stale candy was purchased. I learned in that moment that there is very often compound reasons for a problem. In this case, it was at one of my dad's grocery stores where the stock had not been rotated. Ooops, sorry Dad. A good teacher should have made the assignment a letter of praise to a company, as a reminder to us that we should recognize a job well done. This all comes back to a complaint about me. I know, it slays me. I cannot recall the customer, the transaction, the problem, which is a red flag for me. I obviously pissed off someone, but they didn't handle it with my manager, they wrote corporate. Which is fine. I signed off on the letter, it sits in my file. But after 15 years at the same store, I wonder how many people I helped in a pinch? How many people took a piece of my advice home and had something work? I can think of lovely people who gushed over a sample, the service of the people I work with, the gorgeous store in which I work or a great product. We've all been there. So here is my challenge for my blog readers. Write a letter. 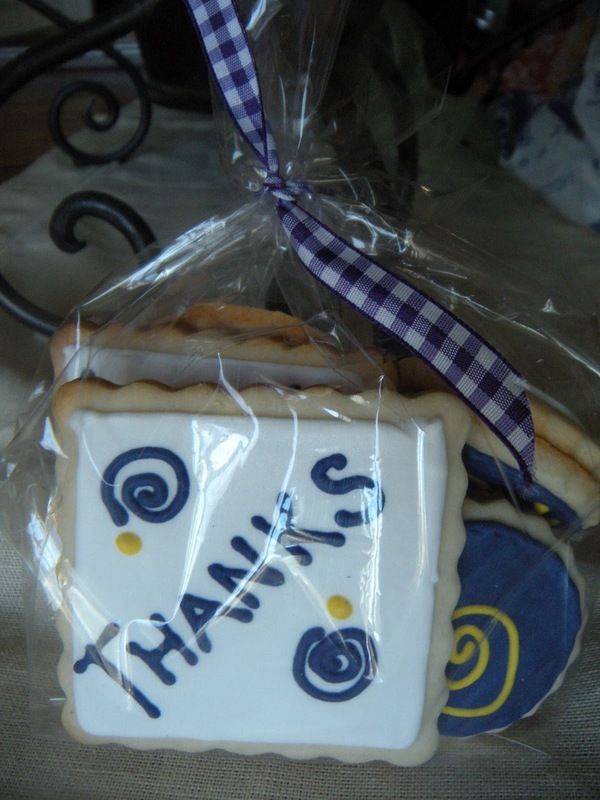 A letter of thanks or a compliment to someone who maybe made a transaction easier, a shopping experience pleasant, or maybe a product you never knew could work so well was a great surprise. I'm not asking anyone to praise someone for doing their job, but there are many, many people who will exceed all of your expectations. You will be amazed at the power of a positive word. Okay, there ya go, you don't even need to head to the grocery store! So, what are you waiting for? Get in there and write! I think we've all been there. You get a phone call, an email, a text with the bad news that someone you love is fighting cancer. It's crazy how this disease creeps up into the healthiest people I know. My sister Lori, her story is here, had her one year checkup and she is clear! Her celebratory cookies come in April when she comes to visit me. But my friend Ned is fighting as we write. I made the purple ribbons above for him last month. They are the awarenss ribbon for pancreatic cancer. Part of the problem is that you need your strength to give it the good fight, and the drugs tear away at that feeling. The nausea has been hard, and if your nauseous, it's hard to eat and build up strength. One of my favorite anti-nausea remedies is ginger. So along with praying for Ned, I'm baking him some Ginger Biscotti. This is not my first go around with these, I made them a few years back. The original recipe is great, but I always had issues binding it, so I revamped it. The original was "light" with little fat. I know Ned needs calories, so I went with the yolks for more flavor and more substance. I decided all the health benefits of coconut oil were in order over butter, and I totally upped the ginger. Mix well. Make sure your sugar isn't lumpy. Bake at 350 until browned, then slice and rebake to crisp. Mix wet and dry together, and form 2 logs on a lined baking sheet. Bake for about 20 minutes at 350 F. Remove from oven and crank temp down to about 325. 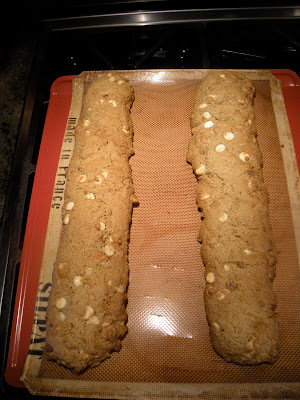 Slice the semi cooled logs and bake again for about 5 minutes each side to crisp up. The result was far better than the original. I mean so good....I still don't know what the thing is about white chocolate, which I detest, when it is baked into these cookies with the ginger. The flavor is so different, and so delicious! So, what are you waiting for? 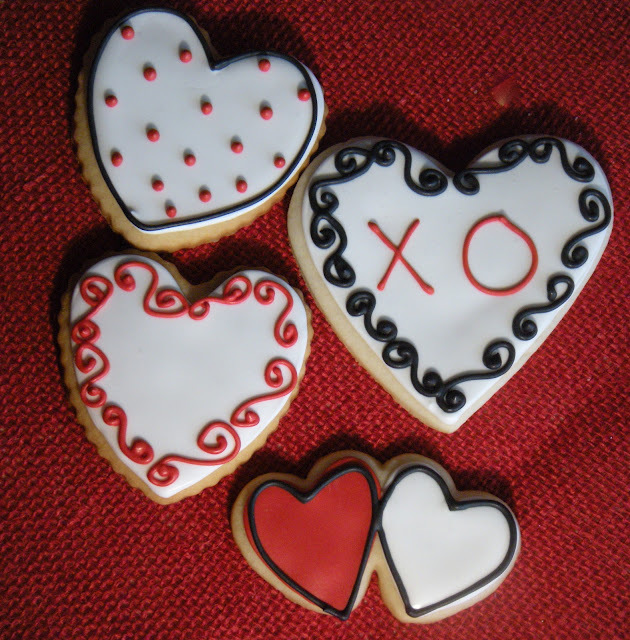 I know you have someone to bake for! Yum. This pizza was a huge success. Very tasty! I know, I know. We decided when I posted the original Aunt Evelyn Ham Ball business, that the name was just wrong. But that is what I have called them for my entire life, I just can't change that easily. Ask Scott, he's been trying for 26 years to make me change, to no avail. When I posted the ham balls with the Tiki sauce, I made some mini balls to put on a pizza at a later date. Today, was that date. I started with my favorite pizza dough from the Fresh Market. I just didn't have the time to go from scratch. But I will be honest with you. I really miss my home made dough. I am planning on ordering this Italian style flour from King Arthur and I will be back in the pizza dough biz. The right flour makes all the difference! So I rolled and rested the dough on a floured peel (no cornmeal, which was a BIG problem). There were some hard, crunchy areas on the dough which makes me kind of mad, so when I got it all rolled out, I sprayed the edges with my Misto and sprinkled a little Penzey's Italian seasoning. I find these crusts work best if they rest a little after rolling, and then stretch to the desired shape. I made mine on the peel, and it was too big and heavy to slide onto the stone. Ooops. But hey, once the ingredients are all on, does it really matter how it looks? NO! So just pretend that big fold isn't there. But, for the record, that part of the crust was yummy. Had to flip one side so it would fir on the pizza stone. Oops. Speaking of ugly pizzas, many years ago, at least 22, (no kids) I made a shrimp and leek pizza from scratch, from a Bon Appetit Magazine. As I was taking my masterpiece out of the oven, it slid right off and onto the kitchen floor, upside down. I cried. My sweet husband grabbed a spatula and scooped up the mess and sat down at the table and ate it. He knew what kind of effort I had put into it. It turned out pretty good, it just wasn't pretty. No wonder we are happily married all these years, huh? So I basically slathered the pizza sauce, mozzarella, ham balls, and pineapple rings, because I knew the meatballs would look cute in those holes. I topped it with a little parmesan and pizza seasoning for fun and slid/crammed it onto the stone. I baked it at 460 F on pure convection to try and get that dang crust, crispy. Always my issue with this pre made stuff. The stone didn't help much, it was still soggy in the middle, even after stretching it as thin as I could. I have got to start making my own dough. Have I mentioned that? But hey, it was delicious. We love that salty ham/sweet pineapple/sauce combo. I will always make some little meatballs for pizza, they were a great addition and much more flavorful than Canadian Bacon. So, what are you waiting for? Get in there and cook! So I made dozens of cookies planning on sending them to Christina and her buddies as they have been working so hard in off season conditioning. But they took a challenge for February and asked that I not send cookies. I was so impressed! So needless to say, I made a lot of other people happy. Here is a sampling of what I whipped up. 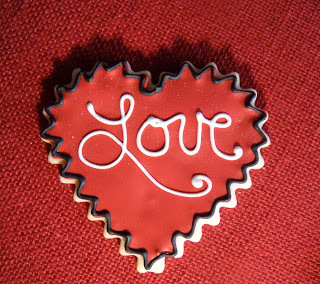 Hope your Valentine's Day lives up to the hype! The basics, I dumped the Salata after this post, I was kinda grossed out. I like the idea of hitting on one food topic and exploring. I did it with cocoa last spring, and with cucumbers one hot summer. 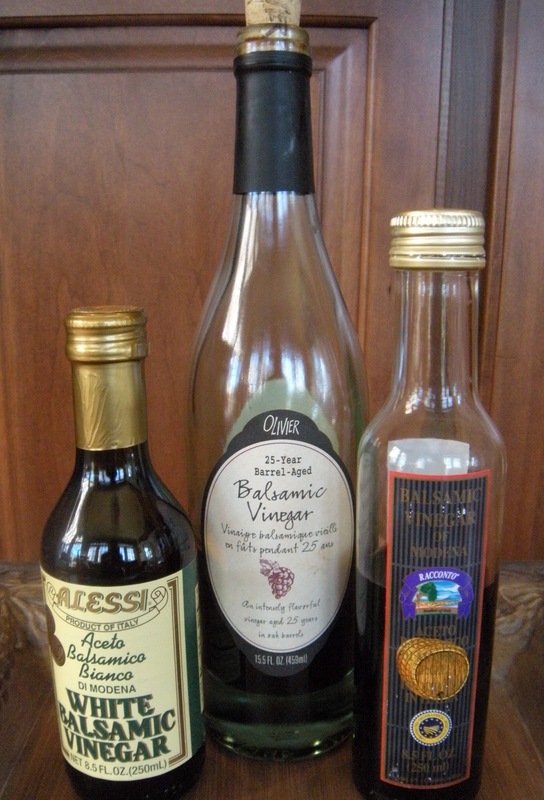 I love food, no question there, and when I peek into my pantry, vinegar is a strong presence. Fourteen (yes, 14) bottles of vinegar live harmoniously in my pantry. Some I love and replenish often, others are not my favorite, but they are getting a little kitchen time too. Only one vinegar doesn't reside in my pantry, and that is the large jug of Heinz white vinegar. I use it for cleaning up little doggie tinkles. The only recipe I use it for on a regular basis is my famous Sloppy Joes. Of course I also use white vinegar for canning. But oh, the other vinegars are where the fun is! So hang on while I show you what I have. 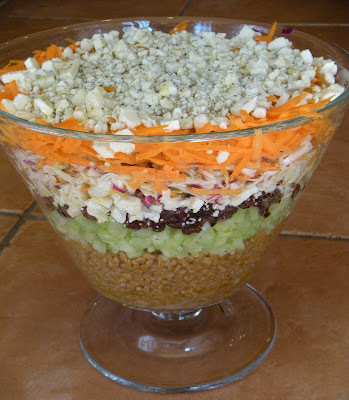 I promise one of my favorite salads of all time at the end! First the basics, above, sort of the everyday salad vinegars, nothing funky. Heinz apple cider is what I grew up on. My Grandma would sprinkle the salad with this and oil (probably Mazola, she was brand loyal) and salt and pepper. She would then cover the salad with a dish towel and set it aside. I got an email last year from an old childhood friend asking for our salad recipe. That's it. We NEVER eat cold salad. I found the other cider vinegar at WS, and it's good, but pricey no doubt. It has added white wine vinegar I am guessing to bring the acidity level down. It runs about $15. The other is Salata, a seasoned vinegar from Germany. It is also mellowed with wine vinegar, but its first ingredient is spirit vinegar. Not sure what that means. (I looked on Wiki, and ew! It could be chemically made.) It also has some seasoning and coloring. It's not my favorite, but I love trying them all. The middle one is spectacular! Now, on to Balsamic. My gold standard is Olivier 25 year balsamic from Modena. It is fantastic at just under $30 a bottle. But I always have a cheapie grocery brand on hand for drizzling on roasted brussel sprouts or asparagus. If you're going to cook it, I go with the grocery. They run around $10, mine also contains coloring and grape must. It isn't authentic, and I wouldn't drizzle it on a salad or strawberries, but I drizzled it last night on brussel sprouts and roasted them and it caramelized beautifully. And then White Balsamic. What is this stuff? According to the bottle it is white wine vinegar and the musts of white grapes. I love it. It is imported from Italy and has a great flavor on a salad. True Balsamic is regulated, aged and imported. 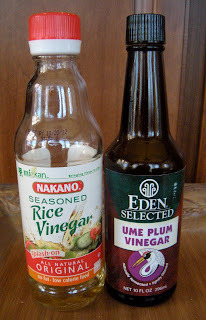 I buy 2 Rice Vinegars at a time, that bottle of Ume will last me a lifetime! Now onto the Asian flair. Rice vinegar has achieved great popularity. Seasoned, which I have, has sweetening in it. Corn syrup, brown sugar, I know...Yikes. But only 5 carbs per Tablespoon, and I can use it without oil it is so mellow. They also offer it plain and with other seasonings. 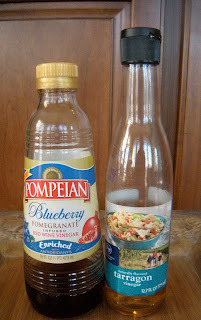 I prefer the imported ones, and as I am reading the bottle for this blog, it says to refrigerate after opening. Oops. I have never put it in the fridge, and I have been buying this stuff for 15 years! 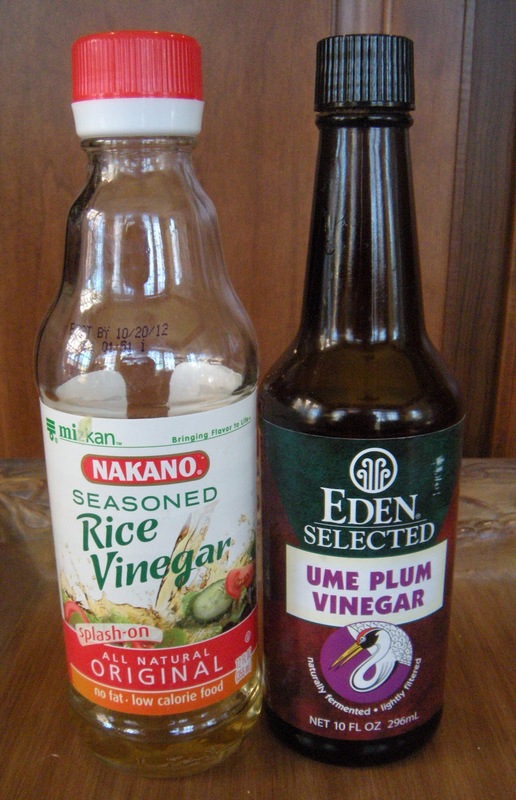 The other is Ume Plum Vinegar. It is made in Japan and is made of Ume plum, Beefsteak Leaf (shiso) and sea salt. A lot of sea salt. This is high powered with 1050 mg of salt in a teaspoon. But trust me, it takes only a teaspoon on a large salad for a family to get the amazing Ume flavor. Not great, but a nice change. Then the flavored vinegar. Not my favorites. The blueberry pomegranate is gross. I bought it because I love pomegranate, and I had seen a Japanese one at the International market that I didn't buy. I will try that one because this is icky. I usually mix it with others. And then the Tarragon Vinegar. I love tarragon, and use this in my chicken salad. When my favorite grocery closed, I bought this store brand at Kroger. I am not a fan. I can't remember what my other brand was, but it was good stuff. 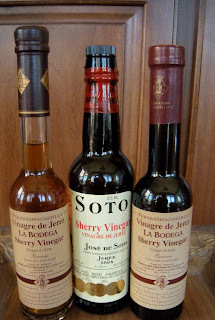 I love Sherry Vinegar, the $10 one is great! And finally the Cadillac of vinegars. Sherry. This is my all time favorite. They can trace it back to the first century, and has a strong distinctive taste. You should only buy it made in Jerez, Spain. The one brand DeSoto is made by sherry growers that have been around since 1793. It is pretty inexpensive at $10 a bottle. The other 2 bottles are also from Jerez, but are Reserve, aged for years. I got them on clearance because I am not likely to pay $45 for a bottle of vinegar. It is delicious stuff though! And now my wish list. We have a French cider vinegar with honey at WS I am dying to try. Also that Japanese pomegranate vinegar sounds lovely and the color was spectacular. I guess I will have to make room first. And as for all those emails and ads that tell you all the benefits of vinegar, I agree with most. But it will not make you lose weight. I drink (yes, drink) vinegar everyday. I love it, it makes me feel good. But I will tell you this, if you feel crummy, achy, feverish, a warm bath with apple cider vinegar will make your nose wrinkle, but I swear it draws out the poison from your body. It is amazing stuff! 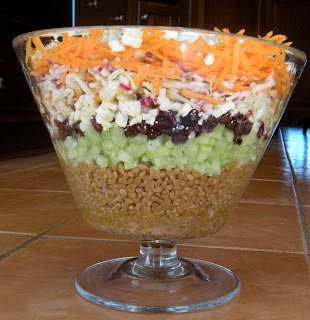 So, here's my favorite salad, it was a supper club recipe years ago, I have no origin. So,what are you waiting for? Get in there! In a small bowl, combine dried cherries with warm water to cover. Set aside to soften. In a medium skillet over medium-low heat, add 2 tablespoon olive oil and pancetta. Cook until fat is rendered, about 6 minutes. Drain pancetta on paper towels and discard all but 1 tablespoon of fat from the skillet. Add 2 tablespoons of olive oil to the skillet and increase heat to medium-high. Return pancetta to pan and cook until crispy. Add garlic and cook until just golden, about 1 minute. Reduce heat, add thyme and stir well. Add 15 good turns of black pepper. Add vinegar, return pan to heat, and deglaze pan, scraping up all the brown bits that cling to the bottom and sides of the pan. Simmer until vinegar reduces by half. Drain and add cherries. Season with salt. Can be made ahead to this point and reheated briefly to serve. Put mixed greens in a salad bowl. Crumble the goat cheese over the greens. Quickly toss mixture with pancetta dressing so greens barely wilt. Immediately transfer to plates and serve. Labels: Balsamic Vinegar, Sherry Vinegar, Warm Goat Cheese and Pancetta Salad. So yes, this a rerun, but today is Scott's Birthday, and the sun is shining and the day is a little different than the photos! I posted my daffodils on Facebook on the 30th of January, winter seems to have not found its way here. It makes me a little sad. I remember this day, 2 years ago, so well. We had been out of town all weekend, and I had no groceries to bake a cake. I woke up around 6am that morning and was walking out to the kitchen and thought the light was strange and looked outside to see this amazing snowstorm. I obviously missed the weather report. I checked the school updates, cancelled, that was good as Christina was feeling poorly. 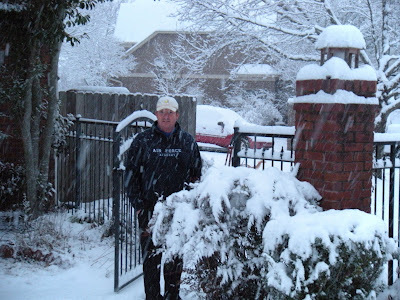 I would LOVE to have a snow day with my kids again...sniff, sniff. I went and woke up the birthday boy. I told him he could thank me later for the lovely snow I arranged for him, but right now I needed him up and at 'em to get me to the supermarket or he wasn't getting cake! Chocolate cake, with buttercream icing, made by "moi" is a great motivator because we were off in minutes! Here's how the cake went. 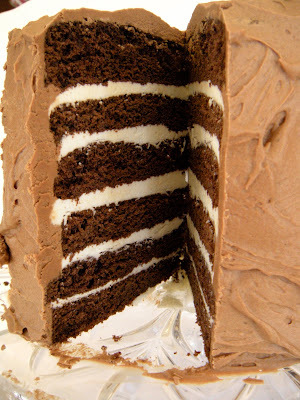 I had decided on a Mile High Chocolate Cake with Vanilla Buttercream and Chocolate Ganache that I found on Epicurious.com. Well, sort of decided anyways. I have admitted numerous times that I am no good at following directions, and I took a perfectly good recipe, at least according to the reviews, and changed it. 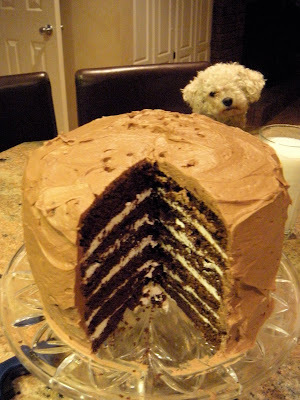 I followed the cake recipe as written, and baked the three layers for only about 40-45 minutes which was too long. Perhaps it was the convection, but those suckers were dry around the edges and fell apart a little. But that's what frosting is for! So the frosting. Real buttercream. Egg whites, simple syrup, vanilla paste and a flipping pound of butter. I could seriously vomit right now. And that is just from licking my fingers, this is SOOO rich. I love meringue, I can eat it right out of the bowl, and it about killed me to drop that pound of butter into it a tablespoon at a time. I sliced my 3 layers into 6 and started frosting and stacking. There was so much buttercream that I felt the cake would be inedible if I used it all. I also had the small detail of Scott specifically asking for chocolate buttercream, not ganache, which is what the recipe called for. So I took what was left over, added a couple of squares of melted, unsweetened chocolate and some confectioner's sugar. Whipped it up and iced the whole cake with it. Voila, chocolate buttercream. So here we are, 2 years older and wiser. The birthday boy is not here. He had an important meeting and we are celebrating with a dinner party for 14 on Friday. It will be all his favorites. As a matter of fact exactly what he requested on the 50th birthday in the snow! But it will be fun to celebrate with friends. Not sure what other things are on the menu, and have yet to decide on a cake. So I guess I better get along! I have a party to plan. It's time for the Secret Recipe Club once again. 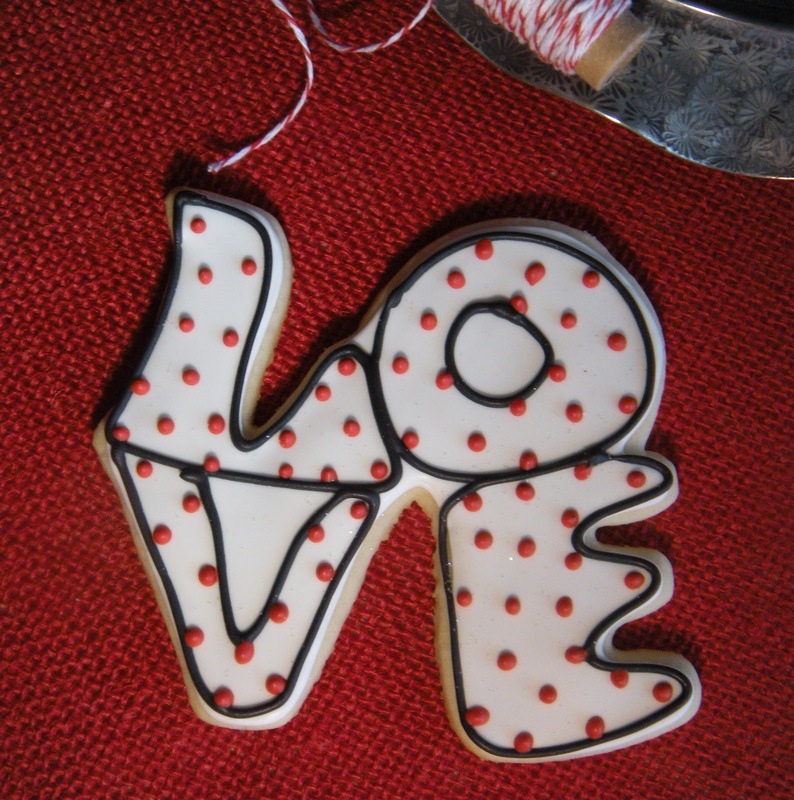 Bloggers like myself are assigned another blog to stalk, er, read, and we choose any recipe to make and blog about it. It opens up the amazing food blogosphere and I have found some very talented cooks along the way! I have made some delicious Salmon Patties, an incredibly enormous and delicious Cookie, and some amazing Short Ribs. This month I discovered a talented, and young cook named Peggy, and her blog, My Fiancé Likes It So It Must Be Good. I love chicken wings. I love them grilled, baked, smoked and fried, as long as someone else fried them. But I never deviate from my classic buffalo/bbq sauce. We toss the sauce together basically cleaning out the fridge each time. But it always has Frank's Hot Sauce, a little BBQ sauce (Rendezvous is my fave) usually a little ketchup to temper the heat, and some brown sugar to get it to glaze when basting. I have cut out other wing recipes, and just never got around to trying them. 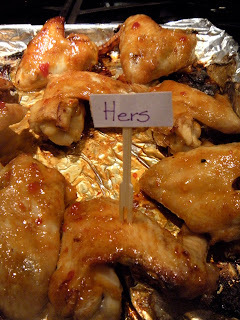 So as I search a most interesting blog, My Fiancé Likes It, So It Must Be Good, I found a very tasty-looking wing recipe, with an Asian flair. Now this was no easy choice. There was so many terrific things, the photographs are fantastic, and there was some great Korean BBQ recipes that I would love to try. But the Superbowl is approaching and Sweet Chili Chicken Wings it is! She keeps her wings intact, which is a great idea, because me and poultry shears and a cleaver always puts me in a bad mood. I hate cleaning animals. I dream of being a vegetarian at times like those. Besides, they look great cooked whole. Reminds me of BB Kings wings, which at one time were fantabulous. Haven't eaten there in many years. But I digress. This recipe is crazy easy. 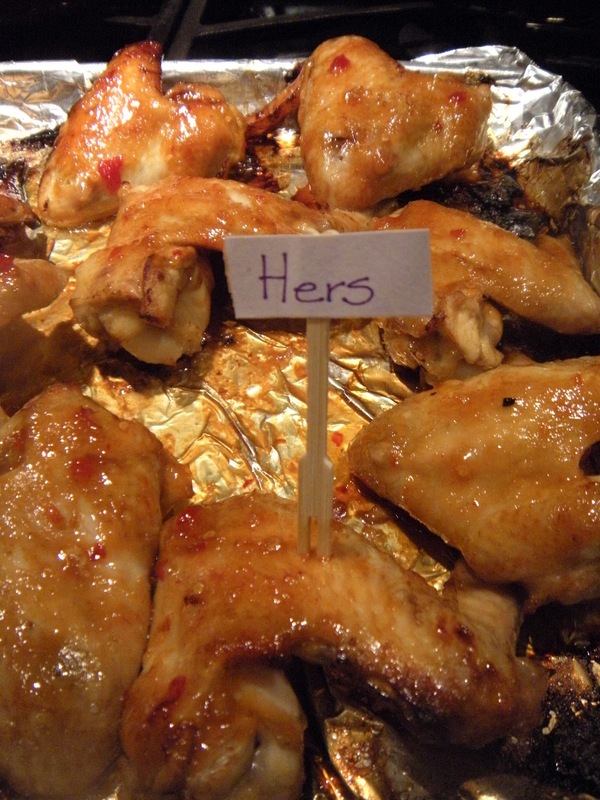 She marinades and bakes them in that, and then glazes with the sweet chili sauce when they come out of the oven. Everyone knows that stuff would burn to oblivion in the oven, but I decided to brush a little on at the end just to see. I did notice that there is a LOT of sweet chili sauce available these days. So I decided to try it 2 ways. I made the marinade and sauce per her recipe. My wings marinated for about 6 hours. 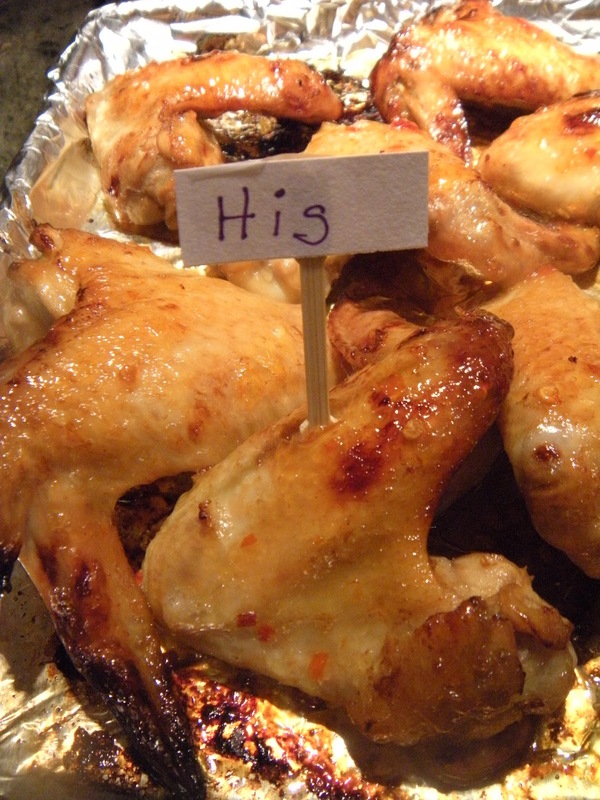 I baked them as she directed with a little marinade brushed on them for more flavor. During the last minutes of baking, I brushed half with the Thai Chili sauce per her recipe, and the other batch I decided to try with Frank's Sweet Chili sauce I found on close out at an old grocery store. I am a Frank's fan, and have never seen this sauce, I knew I wouldn't be disappointed! But, I sort of was. In a side by side comparison, the ingredients are virtually identical. Acetic acid is used to regulate the acidity in both, but the Thai bottle had other chemical compounds in it. Franks did not. Doing the old finger test, I was delighted with the bite of the Thai sauce and disappointed with the lack of heat in Franks. As it turns out, Franks could have used the addition of Sriracha and the Thai would be fine on its own. The Thai was also a little less thick, but amazingly, neither had corn syrup. 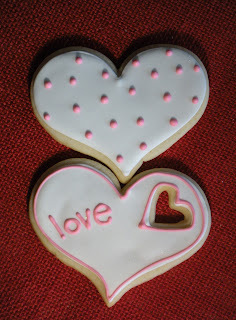 But I really try in the Secret Recipe Club to follow the blogger's recipe. And I am glad I did. My hubby really liked the Franks as he is not a heat fan. And I was amazed, really at what happened to the Sriracha in the chili sauce. It was fantastic. Like an afterburner effect, and it was delicious! Oh yea, you will need lots of napkins! In a large bowl (big enough to fit all those wings) combine vegetable oil, rice vinegar, 1-tablespoon soy sauce, garlic, ginger and pepper flakes. Toss the wings in the marinade and set in fridge for at least an hour. The longer the better in my book, and make sure you stir them about every so often. Next time I will use a shallow sealed container and just flip them around. In a small bowl, combine the remaining 1-tablespoon soy sauce, sriracha, and sweet chili sauce. Toss the wings in the sauce and serve! Preheat oven to 450 F, Pure Convection. In Peggy's original recipe she said she would fry them next time to get them really crispy. I decided to bake them on Pure Convection, a great setting on my oven that I thought would really get meat crispy. Unfortunately it didn't, and I am still hoping for a way to oven fry and get crispy skin! Line a baking sheet with aluminum foil and bake the wings for about 30-45 minutes (or until chicken is done all throughout and skin is darkened, flipping after 15 minutes or so. I basted them with the original marinade for the first half, and then at the very end with the chili sauce to get it really cooking. Do not let it burn! Many years ago, I came across an article in Martha Stewart Living about an Iowa farm picnic. I can remember the beautiful pictures of a fantastic picnic on a picturesque Iowa farm. Having grown up in Iowa, and having friends with farms, I can honestly say I have never enjoyed such an event as it was pictured. But that is what Martha does best! One of the recipes was for a layered salad which I did find on her website titled Dig Deep Layered Salad. How unromantic is that? There is no reference to that gorgeous article, and the title alone would turn me off. However, this is one of my favorite pot luck dishes. It is relatively healthy, unusual in many ways, and so delicious. It really works in any season, and compliments just about anything. And trust me, after it has been dug into and you scoop the leftovers into another bowl, it just gets better. There is really nothing in here that wilts or gets soggy, so it holds up great as leftovers. You'll have to make a trip to a healthy store to find the hard wheat berries. My Whole Foods has them in bulk, and not only are they delicious, they are cheap. I also made a few changes. I used white balsamic vinegar instead of white wine vinegar, so I didn't add the sugar to the dressing. Also, I bought a bag of shredded slaw. I am a girl without a real grocery store right now, and the Super Target I was shopping at had some pretty bad looking Napa cabbage, which is my favorite. I decided to shortcut it with the prepackaged. It works, but my old supermarket (that I dearly miss) had a packaged fine slaw with no purple cabbage or carrots in it. That would have been my ideal choice if I couldn't get a good Napa cabbage. I also use only enough grated carrot to cover the top, I think 5 cups is a lot of carrot. It also depends on how close I am to the top of my serving dish, I like to fill perfectly. This is the bowl I always use to serve in, so I have the recipe figured out pretty well. So, what are you waiting for? Get in there! 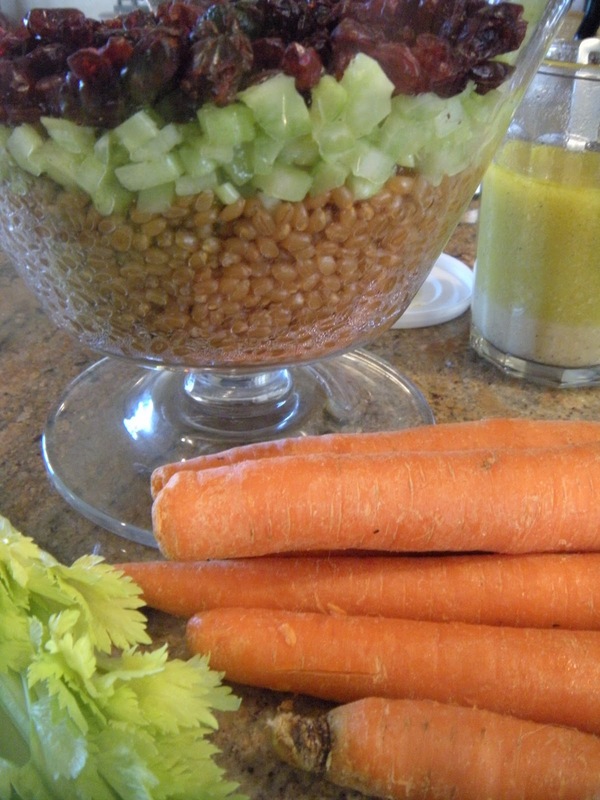 Place wheat berries in saucepan cover with 2 qt. water, cover and boil. Reduce heat and simmer for 40 minutes. Drain. Place in bottom of large (4 qt) glass serving bowl. Mix lemon juice, vinegar, mustard, salt and pepper, sugar, celery seed, and whisk in olive oil. Drizzle 2 T dressing over wheat berries. Cover berries with celery and 2 T dressing. Cover celery with cranberries and half of blue cheese and 2 T dressing. Toss cabbage with 4 T dressing and layer over blue cheese. Top with carrots and remaining blue cheese and remaining dressing. Cover with plastic wrap and refrigerate for 24 hours. Serve at room temp.